Macrame is back. Channel some serious retro vibes with this macramé plant hanger workshop. Believed to have originated with Arabic weavers in the 13th century, this knotting technique became popular with sailors and royalty in the 1800s and had a huge resurgence in the 1970s, along with disco and jellified foods. And it’s back in vogue. In this class, we’ll cover a range of traditional knots, and you can pick and choose your favourites to create your very own macramé plant hanger. These can be hung on the wall or from a hook on the ceiling. We’ll use locally-spun 100% cotton rope and wooden dowel. Each student will receive an indoor plant in a cute pot to place in their macramé hanger. Twist, tangle and braid your way through a relaxing session, and come away with an intricate and functional piece of art. 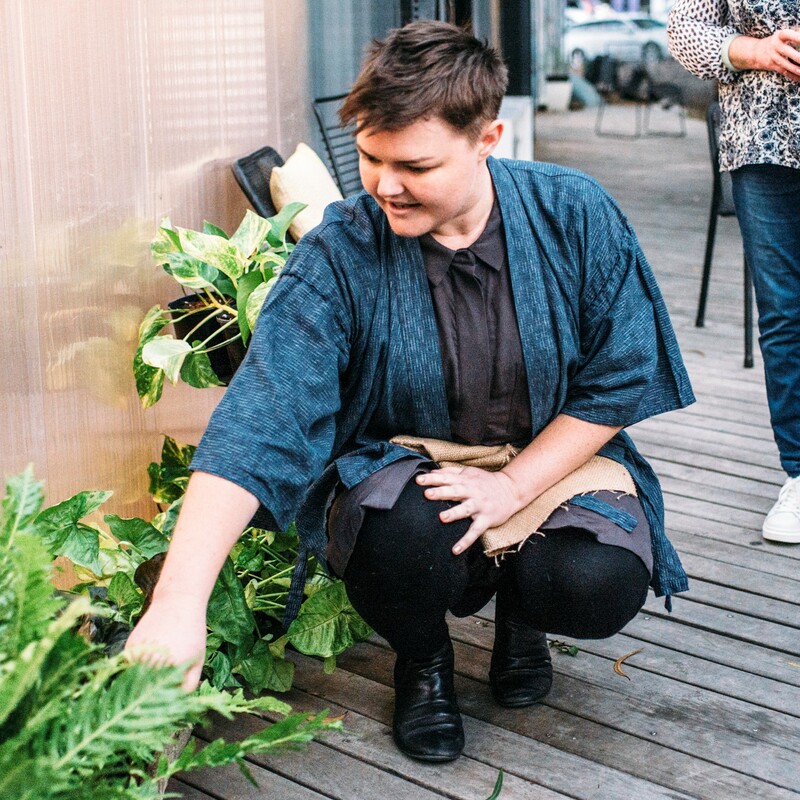 After graduating from Textile Design and Development at RMIT, where she majored in weave and printmaking, Roz sought to distance herself from the questionable ethics of fast fashion and textile waste. Using sustainable methods and ethically-sourced materials, she produced an austere range of high-quality garments under the brand Be Kind Textiles. Driven by an unquenchable passion, Roz spent the following years delving into every craft within her reach. She now proffers her results and lifelong love of art and textiles with anyone who’s willing.